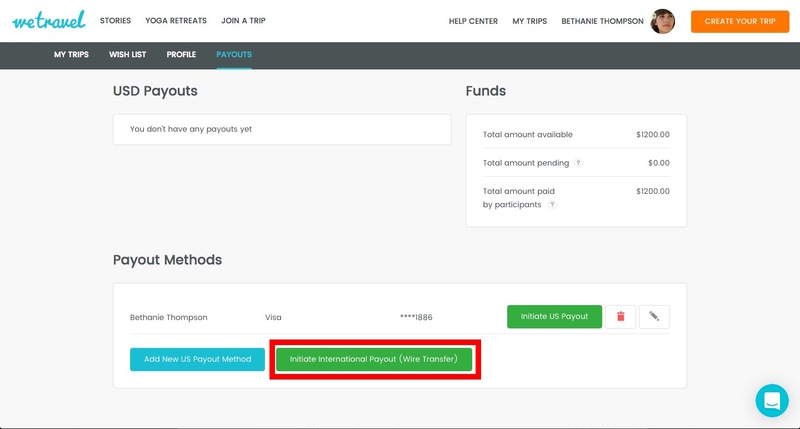 International transfers are initiated in the "Payouts" tab. 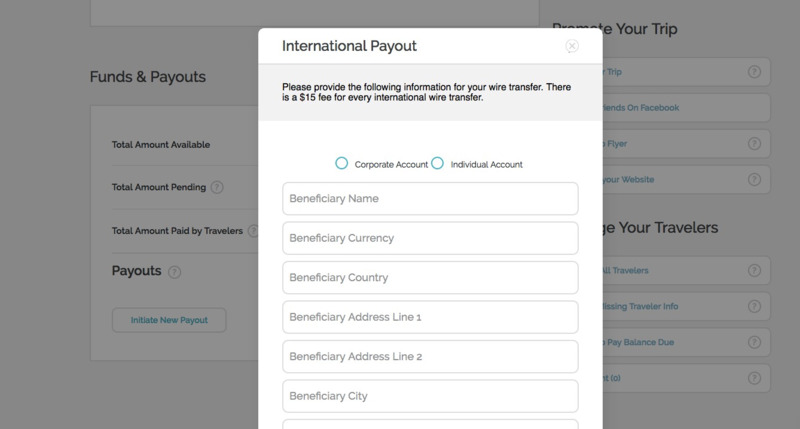 To make an international payout, go to your "Payouts" page and click on "Initiate International Payout (Wire Transfer)". All wire transfers will be manually verified. Please note that there is a $15, €15 or £15 fee for every international wire transfer depending on what currency you're using. Beneficiary Bank Account Swift BIC - SWIFT/BIC of the payment recipient. Please find the relevant code here. Note: If you are wiring funds to the same beneficiary as before (i.e. repeat transfer), then you can just enter the beneficiary name, list the currency, the amount, purpose of payment, payment notes. In the rest of the fields you can enter "as previous", we have saved the banking details in our backend. Note: If you do NOT see the above "Initiate International Payout (Wire Transfer)" button, it means that your ID verification is not yet complete. Please contact the WeTravel team so we can verify your identity and activate payouts for your account. See here how to get verified for payouts.